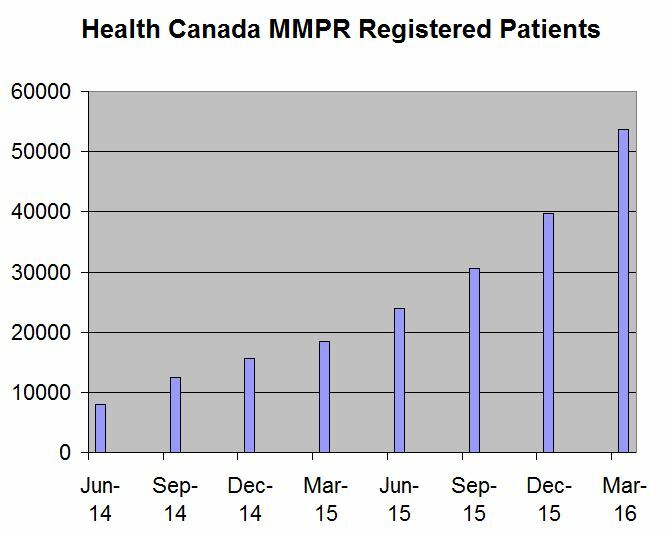 Earlier this week, Health Canada, which oversees the Canadian medical cannabis program, MMPR, reported data for the quarter ending 03/31/16. The number of patients enrolled in the program grew 35.2% from the prior quarter to 53,649. This represented growth of 190% from a year ago and an acceleration from the 29.9% sequential growth reported in the prior quarter. The quarter represented the largest single patient addition since the inception of the program on 4/1/14 and was the best sequential growth since the quarter ending 9/30/14, which was the program’s second quarter. The bottom line is that the program is seeing rapid enrollment. It’s not clear what is driving the acceleration in growth, but one factor may be that doctors are finally getting on board. The Canadian Medical Association is officially against medical cannabis, but the licensed producers (LPs) have been investing significant resources in educating doctors. Canadians must receive an authorization from their doctor to access medical cannabis, and most LPs were discussing this bottleneck in the first year of the new program as being a major impediment to patient enrollment. Another issue may be that the LPs are doing a better job of keeping inventory of desired strains in stock, as many patients had reported frustration in the early days of the program with out-of-stock issues. 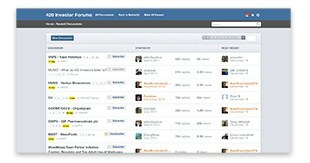 What’s really exciting is that the pace of enrollment appears to be accelerating even further. Both Canopy Growth (TSXV: CGC) (OTC: TWMJF) and Mettrum (TSXV: MT) (OTC: MQTRF) provided updates this week. Each company’s fiscal year ends in March. Canopy Growth, which is the parent of Tweed and Bedrocan Canada, reported 11K registered patients as of 3/31 (so about 20% market share) but 16K currently, which represents quarterly growth of approximately 45%. On the conference call Monday, CEO Bruce Linton suggested that the torrid growth reflects the company’s maintenance of its market share while the market growth is exploding. Similarly, Mettrum reported 7200 patients as of 3/31 but 12K currently, reflecting quarterly growth of 67%. Health Canada had suggested that by 2024 the patient enrollment could reach 425K, but this number, which is 1.2% of the population, is likely too conservative. In the first two years, the program added over 53K patients, with growth of 190% in the second year. If the growth slows to 150% this year, 100% in the following year, 50% in the year-ending March 2019 and 25% in the year ending in March 2020, enrollment would be over 500K and still below the 2% or so penetration rates seen in places like Colorado and Israel. With a lower tax-rate presumably for medical cannabis than legal non-medical cannabis the growth rates could continue at rates higher than this assumption. In the quarter ending in December, inventory spiked, reaching over 10 tons. With patient enrollment accelerating and legal non-medical sales beginning likely in early 2018, inventory levels are becoming less problematic, though they expanded further in the March quarter, increasing to 10,695 KG from 9,729 KG, representing growth of 9.9%. Production grew 50.4% from the prior quarter, while the number of kilograms sold to clients grew 24.2%. This appears to be the first time inventory growth has been below the rate of the growth in consumption. Health Canada also reported a slight decline in the average daily consumption per patient, falling to 1.03 grams per day from 1.12 grams per day in each of the prior two quarters. One big change in the market has been the introduction of extracts, which may be also contributing to more interest from doctors due to their standardization and format. 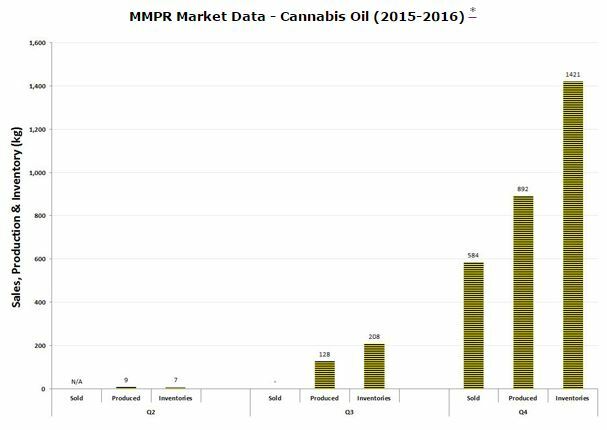 With more licensed producers receiving authorization to sell, the growth in production has been quite strong, with sequential growth of 597%. 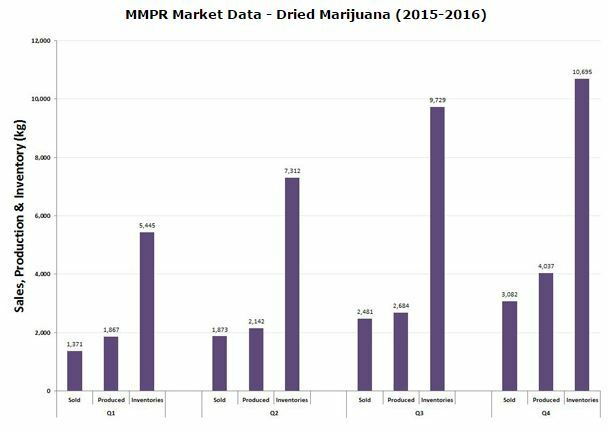 The amount sold to clients represented 19% of the amount of dried cannabis sold during the quarter. The inventory at quarter-end adds about 13% to the dried cannabis inventory. Canopy Growth has reported significant conversion efforts, while Mettrum will be moving from two commercial-grade extraction machines to an industrial-grade one. Data isn’t available from private producers like MedReleaf and Tilray, but Canopy Growth and Mettrum and the other public companies, including Aurora Cannabis (CSE: ACB) (OTC: ACBFF), Aphria (TSXV: APH) (OTC: APHQF), and OrganiGram (TSXV: OGI) (OTC: OGRMF), report the value of their sales and the inventory on their books each quarter. Health Canada provides a list of all of the licensed producers, which was last updated on June 29th.